The world is changing more rapidly than ever, creating both opportunities and risks for every organization. In 1958, the lifespan of a company in the S&P 500 was 61 years. In 2011, it was 18 years and is forecast to shrink to 14 years by 2026. The displacement of companies in the S&P 500 is the result of a number of factors, including the failure of established companies to achieve profitable growth through innovation. Companies are under pressure to innovate and grow and to do so in a sustainable, value-creating way. The urgency for innovation is driven by intense global competition and by the rapid pace of technological change in many sectors. Yet executives have said that growth strategy is being undermined by day-to-day decisions inside the business and that too many companies lack a coherent vision for the future (Innosight, “Corporate Longevity: Turbulence Ahead for Large Organizations,” Spring 2016). What can they do to move ahead? This article is drawn from two keynote presentations from a recent CFO Summit where the authors addressed the role of CFOs in innovation. One keynote presentation was based on the experience at Johnson & Johnson Innovation and the other on continuing research of high-performance companies that have achieved success in driving growth and value-creating innovation from the Center for Strategy, Execution and Valuation at DePaul University and its CFO Strategic Leadership Initiative. In its research on high-performance companies, the Center for Strategy, Execution and Valuation at DePaul University has found a distinct pattern of strategic activities that are driven by understanding how innovation creates value for customers and thereby creates business value (see Mark Frigo and Joel Litman, DRIVEN: Business Strategy, Human Actions and the Creation of Wealth, 2007). High-performance companies focus on innovation that will fulfill otherwise unmet customer needs that are highly value creating for the customer and that focus on customer groups where the unmet needs are large and growing. High-performance companies use a disciplined and balanced approach to innovation and growth, including organic growth and business development. They partner strategically using a broad spectrum of partnering that ranges from information exchange to early-stage, mid-stage, and late-stage collaboration to joint ventures and mergers and acquisitions. 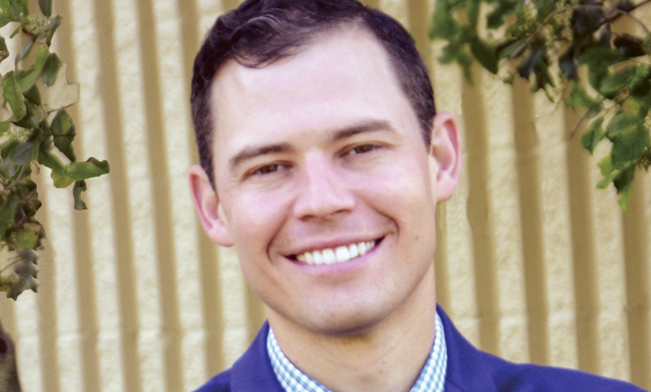 They also understand the unmet needs of their partners and how the partnering will ultimately create value for customers, for the company, and for the company’s partners through innovation. High-performance companies also know how to leverage their unique capabilities to create value with partnering strategies and understand the importance of developing new capabilities and innovation competencies in the process. This pattern of strategic activities also is highly aligned with ethically creating shareholder value, which is derived from the value created for the customer. Innovation is a competency that determines the ability of a company to create value for its customers, which, in turn, enables the company to achieve profitability and growth. One of the newest initiatives the Center’s high-performance company research focuses on is what it calls High Value Creating Companies to understand how the strategies of these companies create customer value and business value. This is where studying companies like Johnson & Johnson (J&J) comes in because Johnson & Johnson Innovation’s strategy is highly aligned with the tenets and foundations of Return Driven Strategy. It reflects a commitment to create business value ethically by first creating customer value. The J&J Credo provides the foundation for this ethical business conduct by spelling out the values that guide the company’s decision making. Established companies can create greater value by acting more like startups. Given their size and capabilities, those like J&J have an opportunity in terms of strategic growth, which requires a balanced approach to organic growth and business development. Large established companies have a challenge to think differently about how innovation works in terms of integrating the strength of startups to innovate with the resources and capabilities of established companies (see “Breakthrough Innovation and the CFO,” Strategic Finance, December 2015, and Tony Davila and Marc Epstein, The Innovation Paradox: Why Good Businesses Kill Breakthroughs and How They Can Change, Berrett-Koehler, 2014). The startup corporation model uses the principles of the startup ecosystem to design a breakthrough innovation process within established companies. This approach is very consistent with certain aspects of J&J’s Innovation strategy. The Center’s research on high-performance companies is based in part on identifying companies that have resisted the competitive “fade” represented in the “Competitive Life Cycle” and studying the performance of companies in terms of return on investment, growth, and relative total shareholder returns. The Competitive Life Cycle concept (see Bartley J. Madden, Value Creation Thinking, 2016) describes a distinct relationship between reinvestment rates in the company and its performance in terms of return on investment (economic returns) during four phases: High Innovation (where there’s a large and increasing investment in the company and low but increasing economic returns), Competitive Fade (where reinvestment begins to decrease and returns begin decreasing), Mature (where reinvestment remains at low levels and returns are relatively low), and Failing Business Model (where the return becomes consistently below the cost of capital). The reinvestment rates are the economic resources invested, and they reflect the innovation and growth strategies of a company. Companies can resist the tendency to fade by having value-creating reinvestments that build capabilities that extend competitive advantage. In contrast, when companies fail to reinvest in the business, they tend to fade and ultimately can fail. Life-cycle reviews can be done on business units, including startup companies within an established company. The Center for Strategy, Execution and Valuation is experimenting with how CFOs and management teams can use life-cycle reviews to evaluate innovation and growth strategies. Also, as part of its collaborative research, the DePaul University CFO Strategic Leadership Initiative works with CFOs to identify strategic leadership skills and leading practices in Finance organizations. Articles in Strategic Finance with Whirlpool and Exelon are examples of this work. The Center studies the traits and characteristics of strategic CFOs. One of the traits is the ability to “Think, Act, and Communicate Strategically.” CFOs with this ability can make the connection between the strategies of the company, the investments in innovation, and how those strategies and investments will create future value. This trait is evident in the way CFOs communicate in earnings calls, investor presentations, and interviews with CFOs and CEOs. The second trait is the ability to “Build and Lead High-Performance Finance Organizations” with the capabilities and skills needed to enable innovation. A third trait is the ability of the CFO to collaborate (see “CFO + CHRO = Power Pair,” Strategic Finance, November 2015). The fourth trait, “Value-Creation Thinking,” is critically important and supports the other three traits. Strategic CFOs have the ability to manage the present while co-creating the future. Managing the present focuses on delivering offerings, whereas co-creating the future focuses on innovating offerings. Again, J&J, particularly J&J Innovation, is a great example of these strategic activities in action. This approach and discipline is consistent with how companies create sustainable value for their customers and thereby create business value. Sustainable, value-creating growth requires an attention beyond top-line growth. It requires understanding when and how to invest in early-stage, mid-stage, and late-stage ventures and in mergers and acquisitions. J&J embeds this approach in its strategy. Compatible Needs. J&J was looking for ways to build a robust early development pipeline, while, at the same time, startups and innovators also needed help. Startup companies and innovators often are strong in discovery but relatively weak in development capabilities. They may lack regulatory experience and access to labs and equipment necessary for innovation and development. At times it can be hard to access capital, either from venture capital firms or the market, and it can be difficult to access pharma company capabilities without giving away significant strategic rights. Finding solutions to match the needs of startups and innovators in ways that fit with J&J’s goals is the focus of J&J Innovation and its four Innovation Centers in Menlo Park, Calif.; Cambridge, Mass. ; London, England; and Shanghai, China. The fact that the market needs are compatible with the those of J&J Innovation creates a compelling and sustainable value proposition. A Strategy Focused on Pipeline Value Creation. J&J Innovation uses a strategy focused on Pipeline Value Creation as shown in Figure 1. The Pipeline Value Creation framework is based on integrating deep expertise, customer insights, and research and development (R&D) capabilities. It includes deal making and partnership management. The first step involves identifying innovation through better insights earlier than the competition, followed by accessing innovation, shaping innovation, performing rolling diligence, and onboarding high-quality assets in line with J&J sector strategies. A Value-Creation Definition. J&J Innovation’s concept of value creation is driven by how the innovation will create value for patients, which, in turn, can create value for shareholders. This value-creation concept is consistent with the Johnson & Johnson Credo. Value-Creation Pathways. 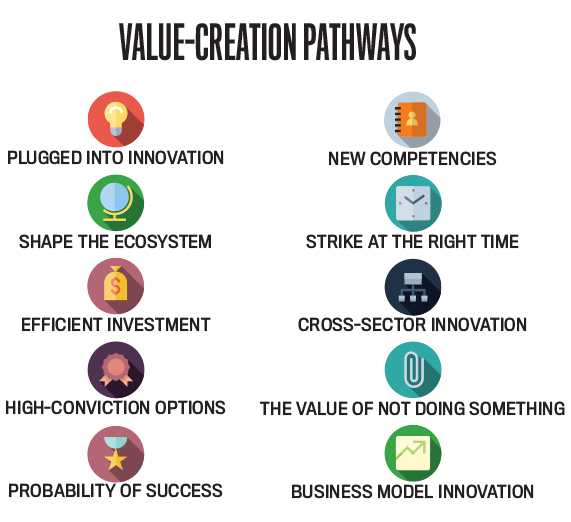 J&J Innovation uses a framework it calls its Value-Creation Pathways. The framework includes questions to ask, analytics, metrics to think about, and examples of collaborations the company has done that exhibit value-creating characteristics. J&J Innovation measures the pathways in quantitative and qualitative ways. The framework helps the company think about its deals and how they can and should create value. Deal teams are asked to articulate their recommendations in the context of these pathways in addition to building the more traditional valuation models and decision trees. There are analytics for each pathway, and models have to include long-range forecasts with lots of potential risk and variability, so the teams use Monte Carlo analysis routinely. Plugged into Innovation: Johnson & Johnson Innovation focuses a great deal on being “plugged in.” J&J needs to know everything that’s happening in its areas of interest, and, by being embedded in innovation hotspots and creating great relationships, they can create preferential access. To be successful in healthcare innovation, you have to be able to access the very best science and technology, so this is really a fundamental value driver for the company. Shape the Ecosystem: J&J needs to invest in and help shape the ecosystem to help ensure that opportunities have the very best possibility of success. Failure rates in the pharmaceutical industry are extremely high, so bringing development, regulatory, and commercial insights to a project early in the process can help tremendously. Efficient Investment: Investments have to be efficient because the cost of developing new healthcare products is astronomical. The company looks closely at benchmarks and internal cost comparisons and deploys funding using a milestone-based approach. By building an external innovation pipeline, it can leverage funding from other investors and partners to create leverage. High-Conviction Options: The company often uses option structures as part of its collaboration approach, allowing opportunities to progress outside of J&J until the project achieves proof of concept, at which point the asset will likely be acquired and on-boarded into J&J. This approach—when deployed across a portfolio—can create significant value, allowing the company to invest in many more opportunities as it only pays for success and not failure. Probability of Success: The objective here is to find ways to do things faster, cheaper, and with a higher probability of success than traditional approaches. By partnering, the company can decrease risk and try more options. Small increases in the probability of success can have a significant impact on value creation. New Competencies: J&J can access new competencies and capabilities through its innovation strategy. The company has recognized that it doesn’t always need to own everything. Sometimes it’s more efficient and effective to partner to access certain capabilities that may develop faster and be of high quality when they are being leveraged by multiple companies externally. Strike at the Right Time: The company needs to design deals to “strike” or onboard the assets at the right time. If it can gain insights by partnering early, it can feel more confident about executing a larger collaboration ahead of the competition and before they are fully valued by the market. Cross-Sector Innovation: J&J Innovation includes science and technology experts from each of its three main sectors—pharmaceuticals, medical devices, and consumer products. As a result, it is able to look not only for opportunities within the sectors, but also ones that cross the sectors. Traditional product boundaries in the industry are becoming increasingly blurred, and there have been an increasing number of nontraditional entrants. The J&J Innovation structure is well suited to take advantage of this change. The Value of Not Doing Something: The company also looks at the value of not doing something. Sometimes the best deals are the ones that you don’t do! Any project, no matter how exciting the science, can’t be done at any cost. The collaboration needs to create value for J&J shareholders, and sometimes it’s okay to walk away. Business Model Innovation: J&J also looks closely at business model innovation, which is becoming increasingly important with the consumerization of healthcare, the emergence of new disruptive technologies, shifting regulatory environments, and the availability of vast amounts of new data. CFOs have a great opportunity as strategic leaders to enable innovation in their organizations. To move forward, they must develop the right skills and teams that will enable them to help drive successful innovation and value-creating growth in their companies. A forward-looking, strategic CFO focused on value-creation thinking coupled with financial discipline is a great competitive advantage for every company. Darren Snellgrove, CFO and VP of Finance and Operations for Johnson & Johnson Innovation, talks with Mark L. Frigo about J&J’s new venture. MLF: What are the three primary reasons that innovation should be the top priority for CFOs? DS: Innovation has to be every CFO’s number one priority. Think for a minute about the pace of change in the healthcare industry as just one example. In 400 B.C., Hippocrates talked about preventative medicine; 2,300 years later, in 1921, J&J introduced a major innovation, the BAND-AID®. But now, only 100 years after the launch of the BAND-AID®, we have companies looking to 3D print skin onto burn victims. Surgery was performed without anesthetic 100 years ago; we now have robotic surgery. It took 2,300 years to get penicillin, and 100 years later we have gene therapy. We are seeing an exponential increase in the pace of innovation, and if you don’t make this your priority you will be out of a job. MLF: Can you briefly describe how and why Johnson & Johnson Innovation was developed and your perspective from your first years as CFO? DS: The concept of J&J Innovation was developed by Paul Stoffels, J&J’s Chief Scientific Officer, in response to a number of external and internal factors that created the perfect opportunity to try something new. Industry wide, pharmaceutical productivity has been decreasing while, at the same time, healthcare spending as a percentage of GDP [gross domestic product] has been increasing dramatically. Many diseases and medical challenges have been overcome. The ones that remain are really tough problems to solve, and we knew we needed to collaborate earlier and more often in order to succeed. We couldn’t expect our scientists to be heads down in an internal lab and discover a cure for Alzheimer’s, for example. It takes the collective ecosystem working together in new ways to overcome these challenges and find new cures. Innovators also needed help. Starting a pharmaceutical or medical device company is extremely expensive, complex, slow, and risky. At the time, venture capital was also getting harder to find, particularly for the very early opportunities. We wanted to invest in the ecosystem by creating labs, investing in new ventures, and providing access to J&J’s vast expertise to help innovators succeed and ultimately to help J&J succeed in bringing transformational new products to patients. I remember interviewing with Paul for the role and being immediately convinced that this approach was critical to the long-term success of J&J. Over the last 3.5 years we have gone from literally a sketch on a napkin to a fully functioning cross-sector model with Innovation Centers in Menlo Park, Calif.; Cambridge, Mass. ; London; and Shanghai. We now have six JLABS locations in North America with close to 150 companies in residence. J&J Innovation is frequently ranked at the very top of various partner surveys. We have executed more than 250 collaborations, already onboarded more than 10 assets, and are on track to deliver on our pipeline and value-creation goals. Most important, we have built exciting new portfolios in areas such as Immuno-Oncology, Surgical Robotics, 3D Printing, Gene Therapy, wearables, and Light-based treatments for aging and acne. It has been an amazing journey for me personally over the last few years, but it hasn’t been easy. I am extremely proud of what we have accomplished, but at the same time I feel that we are barely scratching the surface. There is so much still to do. MLF: How would you describe your leadership style at Johnson & Johnson Innovation? DS: Collaborative and, at the same time, not afraid to challenge the status quo. My main job is to provide leadership and strategic direction and to clear the way for my team to get things done. In this role you have to be comfortable navigating complexity and taking risk. I enjoy tackling a wide range of problems, including those that require sifting through a lot of ambiguity and moving quickly to action. I’m excited about innovation, and I am comfortable taking a leadership role on what are often controversial projects if I believe they will create value. MLF: How does Johnson & Johnson Innovation define value creation? DS: Great question. I remember having to give a presentation at our first all-hands meeting on value creation. It’s a critically important topic for us, and I wanted to find a way to bring it to life for our J&J Innovation colleagues. I thought long and hard about the best way to explain value creation. I looked at dozens of definitions and worked on different examples, but nothing seemed to resonate. Then one day as I walked into the office I happened to look at the J&J Credo, which is painted beautifully on the wall, and it occurred to me that the best definition of value creation lay within the Credo. The Credo starts by talking about our responsibility to patients and all our other stakeholders and ends with “if we do all the above, our shareholders should realize a fair return.” From here I formed my definition, which is essentially a twist on those two core components of the Credo. I realized that “The value J&J creates for shareholders is a reflection of the value that we bring to patients.” This definition seemed to really resonate and allowed me to articulate a key tenet of the J&J Innovation model, namely that by getting involved in collaborations earlier, we play a bigger role in the value creation for patients and, as a result, get a big share of the economics upon success. MLF: What advice would you give CFOs to help them enable innovation at their companies? DS: If the importance of innovation isn’t already well understood, you have to create a compelling case for action—something that motivates the organization to make innovation a clear priority. In our case this was clear, although not to everyone. When we started the Innovation Centers there was a lot of internal skepticism, but I was inspired by the vision of Paul. J&J’s Chairman and CEO Alex Gorsky and J&J’s CFO Dominic Caruso provided us with a certain degree of freedom to allow us to get off the ground. A champion at the top of the organization is critical. You also need to lead by example. Innovation is not just relevant for products; it can and should apply to all areas of your business and all functions. Does your finance organization deploy innovative solutions? It’s going to be much harder to enable innovation elsewhere in the organization if your own area is lagging behind. MLF: What are the keys to success for CFOs in supporting and enabling innovation? DS: You will have to be willing to take risks—calculated risks, of course—and you have to be willing to make mistakes and learn from them in order to make any real and meaningful progress. Use your business and finance acumen to demonstrate compelling frameworks that help the organization understand the importance of innovation. Develop a deep understanding of the real value drivers in your business, and align the funding accordingly. Pay attention to other industries that you may not immediately think are competitors. Technology is blurring the boundaries, enabling new entrants, disrupting regulatory frameworks, and transforming many industries. Recognize that in many (if not all) industries, innovation has to be your number one priority if you want to avoid being the next Kodak. MLF: What skills and capabilities are important for CFOs in today’s environment? DS: I think many CFOs get overly focused on the short term and micromanaging budgets, forecasts, and earnings. While delivering on these commitments is critical, there has to be adequate focus on managing for the long term. 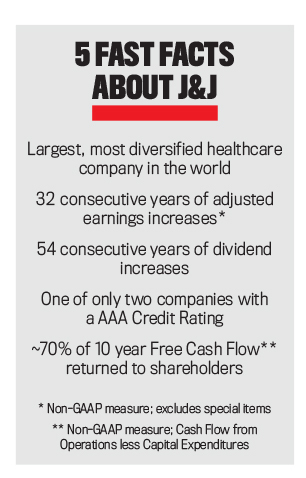 J&J has had a long, successful history managing both. But the pace of change is increasing dramatically. The demands being placed on Finance are increasing. We are expected to do more with less, with pressure to drive low-cost sustainable growth in an increasingly fast-paced, data-rich world. New disruptive technologies are impacting many of our businesses, regulatory environments are shifting, and the customer landscape is changing rapidly. To be successful, CFOs will have to become more agile and leverage real-time predictive analytics to spot trends and opportunities. Most important, they must have a clear fundamental understanding of how value is created in their business, allocate resources more dynamically, and innovate at an increasingly rapid pace in order to survive and thrive in today’s environment. MLF: In building and developing a CFO team at Johnson & Johnson Innovation, what traits and capabilities were most important? DS: For a model like this to work, you have to carefully select highly motivated individuals with a broad range of experience. I built up my team from scratch, looking for people who understood the importance of innovation. They need to be clear thinkers and good decision makers. You need people who are great at analysis but don’t get paralyzed by too much analysis. They must be comfortable with what I call “a blank sheet of paper job.” There is no roadmap, and every day and each collaboration is different. When folks were joining my team, a lot of them were told by colleagues and mentors not to take the role. The organization was new and considered too risky and wasn’t seen as a mainstream role. The folks I hired were not put off. We built an outstanding team. I know they’re good because they’ve been very successful, and now everyone wants them to work in their group. MLF: One of the keys to success at Johnson & Johnson Innovation is evaluating early-stage innovation. What are the best approaches? DS: For us it’s about having deep expertise in our areas of strategic interest. Without the outstanding scientific and technology experts that we have in our Innovation Centers and throughout J&J, our model could not function. It’s easy to get excited about innovation, but if you don’t understand a particular space extremely well, it can be hard to separate fact from fiction. We are very disciplined in this regard, focusing on our therapeutic areas of interest and disease area strongholds in Pharm and key business segments for Medical Device and Consumer. We embed our experts in innovation hotspots around the globe, and they work with the world’s best and brightest entrepreneurs, academics, and small and large companies. We are focused on bringing transformational innovation to patients, so we evaluate our opportunities through this lens. We look at innovation factors including the level of unmet need, of differentiation, the size of the opportunity, the strategic fit with J&J, technical feasibility, and IP protection. 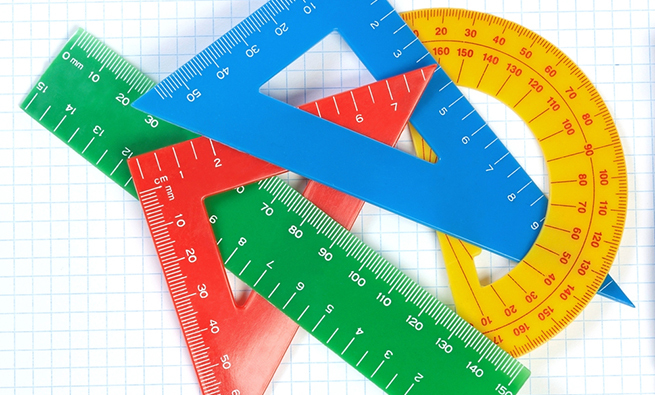 MLF: What advice would you give CFOs about measuring innovation? DS: Measuring innovation isn’t easy. At J&J Innovation, we are primarily focused on product innovation, but we also recognize the importance of, for example, business model and financial innovation—which are even harder to measure. From day one, we recognized that it was going to be critical to measure our progress. Investing in early-stage projects is risky, particularly in the healthcare sector, and we needed to make sure we remained focused and disciplined. We defined success as reaching proof of concept and onboarding a steady run rate of assets into the J&J pipeline. But these had to be transformational assets (as measured by the innovation factors) and could not be done at just any cost, so we use the Value-Creation Pathways to assess our performance from a deal structure perspective. My advice is: Figure out what really creates value and measure that (not as easy as it sounds). Don’t make your measurements too complex, but, equally, they can’t be too simple or you may drive the wrong behavior. 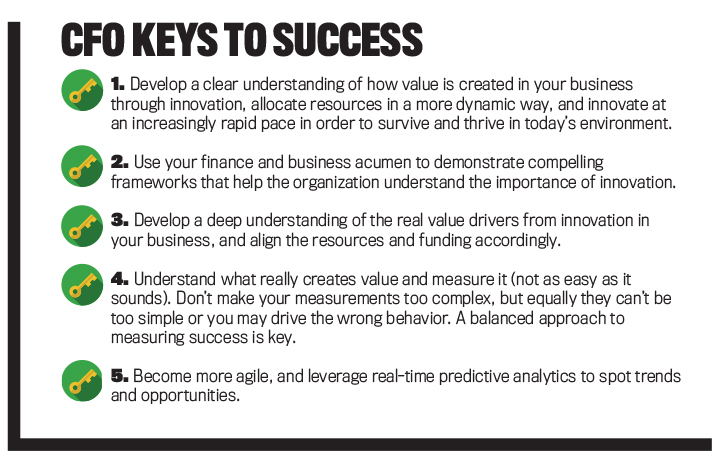 A balanced approach to measuring success is key. Johnson & Johnson was founded in 1886 and has a long history of innovation. The company is the largest and most diversified healthcare company in the world. Approximately 70% of its sales are from #1 or #2 global market share positions, and approximately 25% of sales are from products launched in the past five years. J&J has shown the ability to achieve superior and sustainable value creation. The company is focused on research and science to bring innovative ideas, products, and services to advance the health and well-being of people. J&J is the world’s sixth-largest consumer healthcare company, the world’s most comprehensive medical devices business, the world’s sixth-largest biologics company, and the world’s fifth-largest pharmaceuticals company. The company has more than 265 operating companies in more than 60 countries employing approximately 126,500 people. Its worldwide headquarters is in New Brunswick, N.J., USA. The Johnson & Johnson Credo is a guiding force for the company. Robert Wood Johnson, former chairman from 1932 to 1963 and a member of the company’s founding family, crafted the Credo in 1943, just before J&J became a publicly traded company. The Credo represents more than a moral compass. It represents a distinct recipe for value creation and business success. The fact that Johnson & Johnson is one of only a handful of companies that have flourished through more than a century of change is a testament to the Credo and the continuing innovation at the company. Mark L. Frigo, CMA, CPA, Ph.D., is director of the Center for Strategy, Execution and Valuation where he leads the CFO Strategic Leadership Initiative in the Kellstadt Graduate School of Business and is Ledger & Quill Foundation Distinguished Professor of Strategy and Leadership in the Driehaus College of Business at DePaul University in Chicago, Ill. He is an advisor to CFOs, executive teams, and boards in the areas of innovation strategy and strategic risk management. You can reach Mark at (312) 362-8784 or mfrigo@depaul.edu. Darren Snellgrove is CFO, Johnson & Johnson Innovation, JJFC, Inc. An experienced CFO and operations executive with a broad range of experience in Biotech, Pharmaceutical, and Medical Devices, Darren has an in-depth knowledge of complex deal structures, value creation, external partnering, and a proven track record of success in a variety of financial leadership positions. Under Darren’s financial leadership, J&J Innovation has executed approximately 250 new collaborations since its launch just over three years ago. You can reach Darren at (650) 491-4987 or dsnellg1@its.jnj.com. 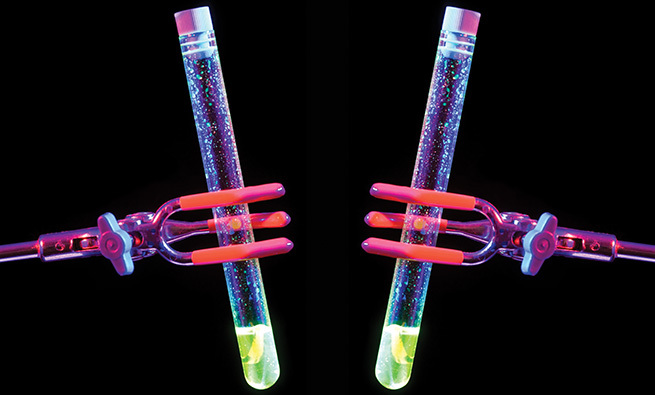 i DO BELIEVE THAT THE BEST INNOVATOR WOULD SUCCEED IN TODAYS WORLD. 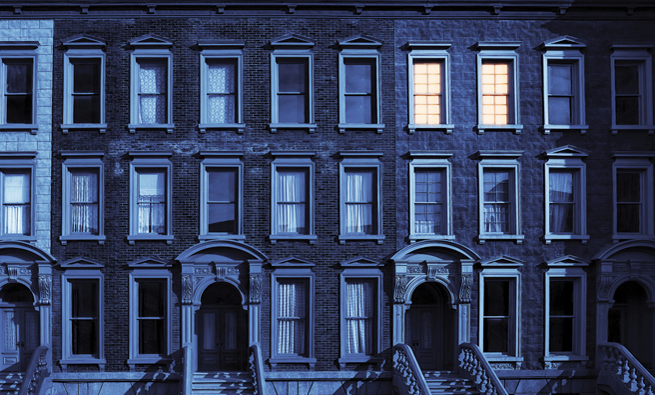 WHAT’S KEEPING CFOS AWAKE AT NIGHT IN 2016?